Karl Hein is known all over the world for his amazing card handling abilities and his naturally disarming performance style. He has performed over 100 lectures in more than 15 countries and has authored many instructional DVDs including “The Heinstein Shuffle”, “Heiny 500”, “Heinstein’s Dream”, “Hein’s Catch Up” and “The Heinous Collection”. And you can see and learn from him here at The Magick Lounge next Thursday 20 November. 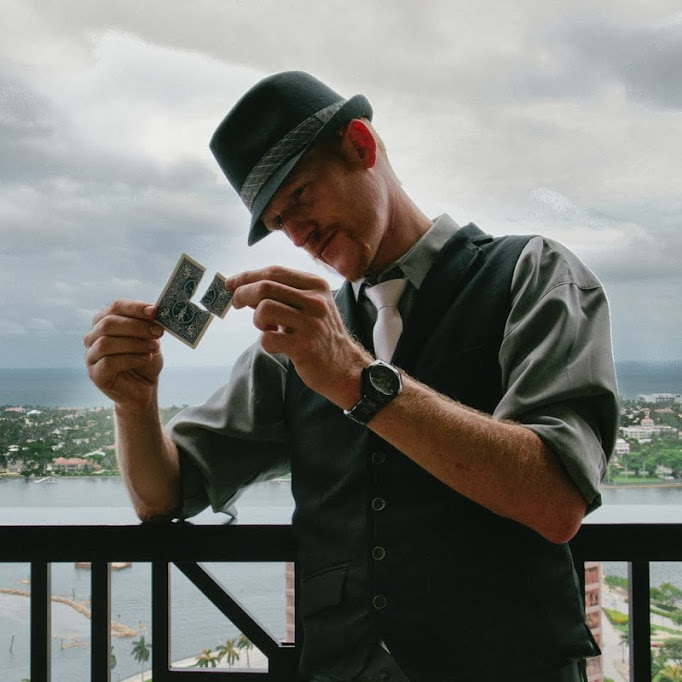 If you are looking for original and entertaining routines developed by an experienced professional magician than this lecture is for you. Karl will use these routines to teach sleights, flourishes and principles of magic and misdirection that both beginners and seasoned professionals can appreciate. More importantly, you will learn how to “Go With the Flow” as Karl explains how to change his routines depending on your skill level, audience and performing conditions. If card tricks aren’t all you’re interested in, you’ll be glad to know that Karl specializes in performing for family audiences. Don’t miss out on learning commercial routines that bring coins, ropes, bills, and cream-filled goodies to life. Even more valuable are Karl’s thoughts on performing and his tips on how to make a great living performing shows for all ages. Karl’s lecture is at The Magick Lounge on Thursday 20 November at 7:30. Doors open at 7:01. Admission is free for Sheffield Circle members, £10 for visiting magicians. Not to be missed!